Do you like foods that are pickled? If so, then you might be interested in a pickled grapes recipe to make at home. This is a method that uses vinegar for pickling and is a great way to preserve food to have for use in the future. The pickled grapes you can make at home will take time to fully develop the best flavor. You should wait at least a week to a couple of months based on the result you want to achieve. The reason why using a vinegar pickling process is awesome is due to the acid in the vinegar. 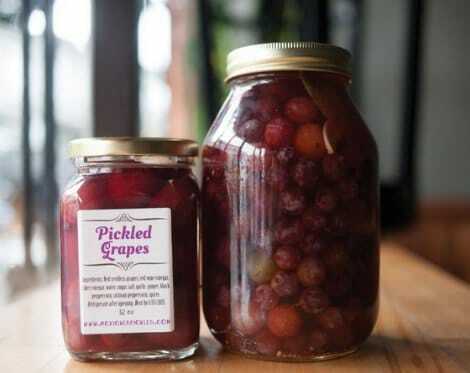 You will see that your pickled grapes will retain a lot of healthy nutrients. If you use a canning process to preserve your grapes, then they will keep for about a year with no refrigeration. Make sure that your grapes are the seedless variety before starting the pickling process.